North Carolina Paving Pro’s is a paving company in Raleigh that offers both residential driveway and parking lot paving services that include new construction and replacements. Residential paving services are one of our primary services. We carefully analyze your property before we develop a strategy that suits your needs and budget. Commercial asphalt paving services are an important part of our work. As one among several paving companies in North Carolina, we take an expert approach to our commercial paving services. From parking lots to driveways and beyond, we have the skills to make your commercial pavement the best it can possibly be. Driveway paving is its own style of work. It requires an understanding of the land underneath as well as a careful strategy to keep things straight and suitable for asphalt. We use advanced methodologies to ensure our work on your driveway is always the best. It is critical that your parking lot is carefully marked. Our parking lot paving services include striping, resurfacing, resealing, sealcoating and so much more. We will take our time to analyze your property to ensure the best outcome for our parking lot services. Do you have specialty paving requirements? Maybe you need an expert team to provide paving for basketball courts, tennis courts, or even golf paths. Whatever the case is, our paving company in North Carolina is happy to provide precision services. Let us create an even surface for your next tennis match or pave your pathways, we’re happy to help. There is much more to the world of asphalt paving than parking lots and driveways. At North Carolina Paving Pro’s we are happy to provide virtually any paving service you require. As licensed and insured paving contractors, we know how to execute on these services quickly and efficiently. For a company that holds the necessary licenses and insurance who you can trust, then consider us for all your specialty paving, parking lot paving, driveway paving, and commercial paving service needs. ​As the best paving company in North Carolina, we have experience working with homeowners’ associations throughout Raleigh NC. From determining the appropriate asphalt driveway seams, to carefully laying down grated asphalt driveway materials, our crew can easily adhere to your Homeowner’s Association requirements to offer quality services quickly. Looking for asphalt driveway contractors near me? If so, we want to be your paving company in Raleigh, NC. Your home is not just where you live, it is also an investment. Maintaining that investment is critical for your Return On Investment. Our goal is to offer the best asphalt driveway, parking lot and installation services available. You can count on us for installation and repair services. Our residential paving services in Raleigh, North Carolina are built on years of experience in the asphalt paving industry. We have spent years developing our skillset to guarantee you get the best results possible when you use our services. From adhering to Homeowner’s Association standards to carefully paving your private driveway, we can do it all. ​Private roads require paving company support just like government roads. Whether you are in need of commercial paving services for your subdivision roads, resurfacing of those same roads, or just general repairs, our paving company in Raleigh is here to help. Our team of expert paving contractors in Raleigh happily provides easement services for you or business. Whether you need a new grated asphalt driveway installed or are looking for maintenance services, we are fully licensed and insured. Working on a new construction job? Then our paving company can help. Our asphalt paving services are ideally suited for new construction commercial jobs. We have the best team of paving contractors ready to make your job go smoothly and quickly. Contact us for more information about new construction work in Raleigh. Our commercial paving services are designed to fit the needs of contractors throughout Raleigh. We tackle the challenges and issues associated with commercial paving easily, thanks to many years of experience working with professional commercial contractors. We are relied on by many businesses in the area and would be proud to work with your business as well. As one of a few paving companies in North Carolina, we focus on providing the ultimate in commercial paving work. Commercial paving requires not only skilled, trained, and experienced professionals but also those who hold the appropriate insurance and licensed employees. We do. From installing proper asphalt driveway seams to managing new construction paving jobs, we have the tools and experience necessary to complete your job on time and to the highest standards possible. ​Looking for help for a driveway installation “near me”? If so, our paving company can help. We provide affordably priced new driveway installations for individuals and contractors throughout Raleigh. Our new driveway installations services are designed to last for years to come. Driveway repair and resurfacing work can be tricky, but with our team, on your side, your driveway will look great for years to come. Wondering what driveway resurfacing costs? Then contact our paving company directly. We’d be happy to provide a free quote for your property. Time for a new driveway sealcoating service? We can help. We offer the best sealcoating services in Raleigh. From sealcoating to resurfacing to new installations, we will happily provide a free quote estimate for the project. We are fully licensed, insured and bonded for work throughout Raleigh. Contact us for additional information about our driveway services. Does your office parking lot need repairs? Whether you need repairs, resurfacing, or new installations, our paving company can help. 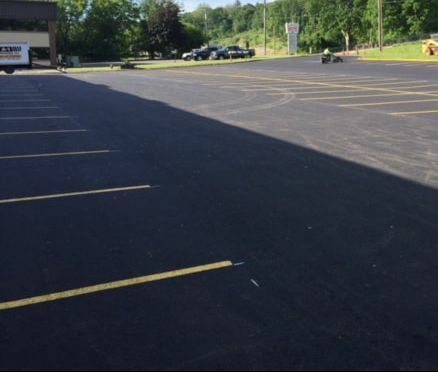 We offer affordably priced parking lot paving services perfect for Churches and small organizations. Keep your tenants happy with our parking lot paving services for Apartments. Enhance curb appeal and maintain current code standards for parking lots. Make sure your business is up to date with our parking lot services for warehouses and large businesses. Don’t leave your industrial parking lot to chance, instead choose us to provide parking lot services for your business. Our parking lot services are designed for businesses who want a professional job done quickly and efficiently. From striping to repairs, to maintenance and new installations, our parking lot services are guaranteed to make your parking lot look its best. Choose us as your paving company in Raleigh, NC. Whether for private or public use, we provide tennis court paving services to ensure the safety and fun of those who use it. If your business or organization has basketball courts, we can help ensure they are properly maintained and striped. Maintaining a well designed golf path or walking path requires professional paving services. We can help with golf path paving and walking path paving services. Specialty paving projects are our, well, specialty. If you live or own a business in Raleigh, NC, and are in need of a specialty paving service we would love to be your go to paving company. We use the most advanced tools and strategies to guarantee your specialty paving job is done correctly. When you’re ready for a professional paving company to tackle your paving project, give us a call. Our parking lot paving services and specialty paving services are designed to fit a wide variety of needs. You can contact us for a free estimate today to learn more about our costs and processes at North Carolina Paving Pro’s. 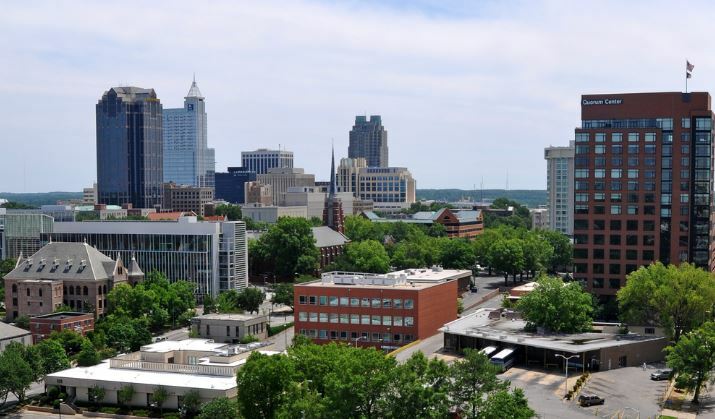 Raleigh, North Carolina is home to multiple universities including North Carolina State University. 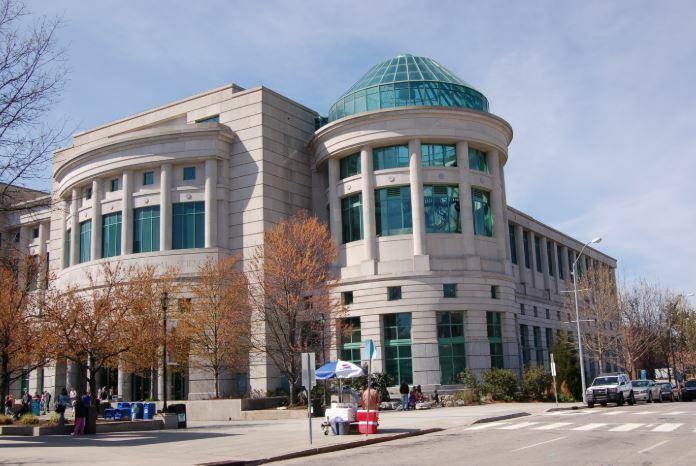 From its North Carolina Museum of Natural Sciences to the North Carolina Museum of Art, there is so much to see and experience in this southern city. Some of the city’s most noteworthy neighborhoods include downtown where you can enjoy delicious modern foods, historic oakwood where you can explore the city’s history, and the warehouse district where art reigns supreme. If you need a paving contractor New Brunswick contact our friends in Connecticut.